Sunshine Coast FC is pleased to announce the re-appointment of Fire’s previously successful Senior Coach Richard Hudson as Head of Senior Football for the remainder of the NPL Queensland 2018 season. Highly experienced and successful in the Football circuit, both locally and nationally, Hudson served as Head Coach for Sunshine Coast FC from 2011 – 2012, before he left to pursue other football opportunities, following a successful spell in the Fire’s QSL history. Speaking on his appointment, Managing Director Joshua Woodall said, “I’m happy we were able to secure Richard’s services for the remainder of the 2018 season and beyond”. “Richard was most recently at Virginia FC and guided them to glory in successive seasons,” he said. Richard will take charge of his first fixture this Sunday (away) against SWQ Thunder. 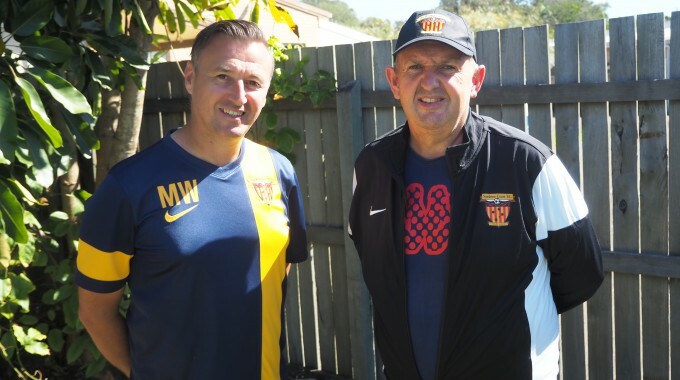 Richard said “There’s a lot of work that has to be done, but I am really looking forward to returning to Sunshine Coast FC as the Senior men’s coach. I appreciate the challenge and am confident we can start to make headway with plenty of good football still to play in the current season, and build for the future”.